Mature bucks (4½ or older) reside all over the public areas we hunt, but rarely get shot. Don't believe that? Just put out a few trail cams and see what roams through at night. Once bucks reach an age of 4½ or older, the reason they rarely get shot is because they rarely leave the security of their bedding area in daylight. Furthermore, they seek out places people don't go. I have shot my share of mature bucks and have noticed they almost always come from overlooked spots where others seldom hunt, or even walk. Mature bucks have an uncanny ability to find these isolated hotspots and to hide and live out there lives there. Below is a list of the best overlooked hotspots that produced my best public land bucks. When you look at a pressured public property, you have to wonder how mature bucks survive there. The key? Most of the hunting pressure is on 90 percent of the land. A smart hunter concentrates on the left over 10 percent. Big bucks don't get big by hanging out where people hang out. 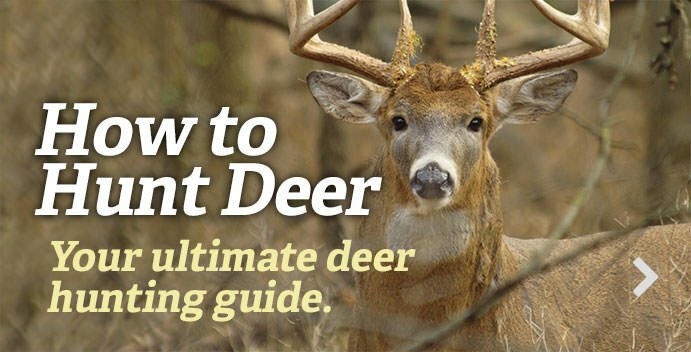 If you’re hunting pressured public ground for mature bucks, you can throw out everything you learned on TV hunting shows and in most magazines. Bucks are not going to be where people think they are going to be. If they are, they won’t live long. I like to take an aerial and topo and eliminate areas I think people will be hunting. This means any dry land with easy access and parking. I also like to think about the patterns of hunters — even more than I consider the patterns of deer. I learned long ago that hunters park in a parking lot, follow a trail way back, and then go left or right. Some head to the middle of the property, some to the edge of private on the far side, and some hunt closer to the parking lot, but very seldom do I see anyone deer hunt along the road between parking areas. As such, big bucks survive by going where they seldom smell people. Many of my biggest public land bucks were shot a stones throw from the road. You still need bedding cover, but when the ingredients are there, this can be one of the hottest areas to concentrate on. You might feel a little ridiculous watching cars drive past, but when that giant walks out, you will be wondering why you never tried this before. Oxbows in rivers have been really good to me. An "oxbow" is a bend in a river or creek that forms a bowl shaped loop that almost forms an island with just a small area of dry land connecting to the mainland. Bedding will be along the river in the bowl shaped area. They have one dry entry predators can enter on. Deer can monitor it with wind-blown scent. The biggest typical buck I ever hunted lived in an oxbow in southwestern Iowa. They like oxbows where the dominant wind blows in from the dry land, they face the river and use the water as an escape. One needs to assume there is not regular canoe or kayak traffic on a creek for this to apply. They need to have some bedding cover, too, but there usually is some good cover along river edges. Quite often, bucks leaving the beds in the evening take the safe way out. They walk into the wind thru the mouth of the bowl. This means in order for a smart hunter to kill the buck, he must hunt an off wind. I just don't know what it is about water that hunters are scared of, but you put down a couple inches of water and it seems to stop hunters in their tracks. Bucks, however, love water. It keeps out the predators, coyotes, wolves and humans. Bucks love the safety of a bed surrounded by water. I hunt some heavily pressured marshes in southeastern Wisconsin. It’s amazing how every portion of high-timbered ground can have a hunter per acre, but hit the cattail water edge and all pressure stops. Bucks live and thrive in wet areas. All they need is some scattered high spots to lay on. In cattail marshes, these are really easy to pick out on an aerial. In timbered swamps, they can be a little tougher to see without walking it. When you look out over the cattails or swamp, look for small groups of trees or lone trees where there may be some hard ground to support buck bedding underneath. A lot of big bucks die of old age by living their lives in these wet areas and rarely venturing onto the dry hunted land in daylight. In hilly terrain, smart old bucks have learned to bed near the tops of leeward ridges (leeward means downwind side). They prefer spots where small points or spurs jut out from the main ridge. The best ones are the ones that point in the direction the dominant wind for the area blows. Thermals begin to rise when the sun comes up and starts heating the valley floor. The wind blowing over the ridge creates a vacuum and pulls the rising thermal up the ridge. The point where the wind and thermals collide is what I call the thermal wind tunnel. Bucks tend to bed right in the thermal wind tunnel about 1/3 of the way down the ridge and look downhill. From this position they have a great advantage of being able to smell from above and below. A smart hunter needs to keep both thermals and wind in mind when setting up. The biggest advantage of knowing this is that you can eliminate a lot of ground and concentrate on the leeward ridges. You can forget about the bottoms and the tops and all the ridges that are not leeward and end up only having to concentrate on 10 percent of the terrain. This is also the best place in hilly terrain to catch a buck cruising for does. They will cruise the leeward ridges right in the thermal tunnel checking for does. They can smell the does from above and below and are cruising near where they bed. The smart hunter will pick a leeward ridge during the rut that connects lots of bedding spurs. Look for tight spots along the ridge like at the top of erosion draws, or where rock formations or fallen trees push the bucks thru a tight spot. To an inexperienced hunter, it will seem like the setup should be in the valley. However, sign holds better in the valley and deer leave lots of night sign down there. To kill bucks in daylight, we need to hunt them where they move during daylight. Islands in marsh and swamp terrain can have incredible hunting, especially if they are remote, and/or surrounded by shallow water. The islands that support oak trees can have great early season hunting because there are few oaks in wet terrain. The ones on island high ground may be producing the only acorns to feed on in the area. Marsh islands are really easy to see when surrounded by cattails, dogwood or some other low brush. It can be a little trickier in timbered swamps that have trees growing in the wet areas. This blocks the view of the hardwoods on slightly elevated land. The best islands for me have been ones that taper to a point on the dominant downwind side and have thick cover and good bedding there. Bucks feel safe feeding in daylight because they could smell danger (if any) at the oaks. A smart hunter will set up on a "just off" wind so the buck is under a false sense of security. The mature buck bedding areas I find on public land are in spots with very little human intrusion. With this in mind, think about the way you look at public land. There ain't much left when you take a map and cross off everywhere people go to hunt. But within those little leftover pieces is where you’ll find the mature bucks hiding. Just don't overpressure them or they’ll be like all the rest. Editor's Note: This was originally published October 15, 2016.